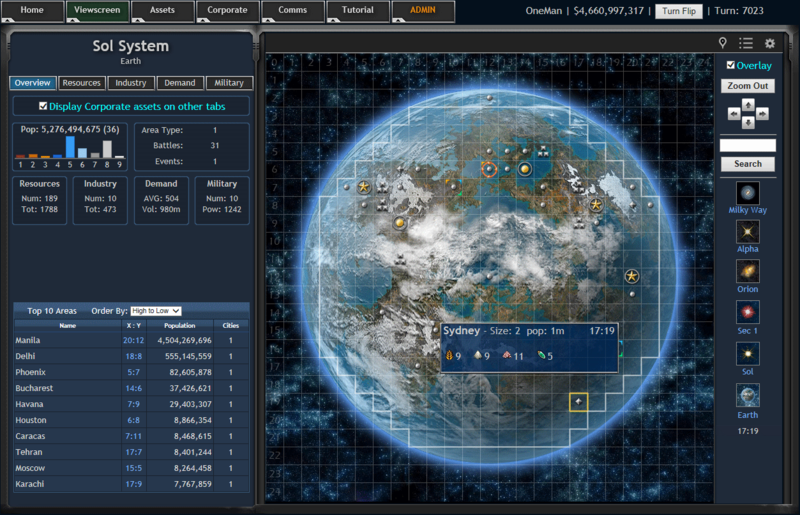 Barons of the Galaxy is a loosely cooperative strategy game of commerce, industry, politics and warfare played online with thousands of players at the same time in a self-expanding galaxy. It is played through your regular internet browser, iPad or Mobile Phone with nothing to install and is free to play with limited features. 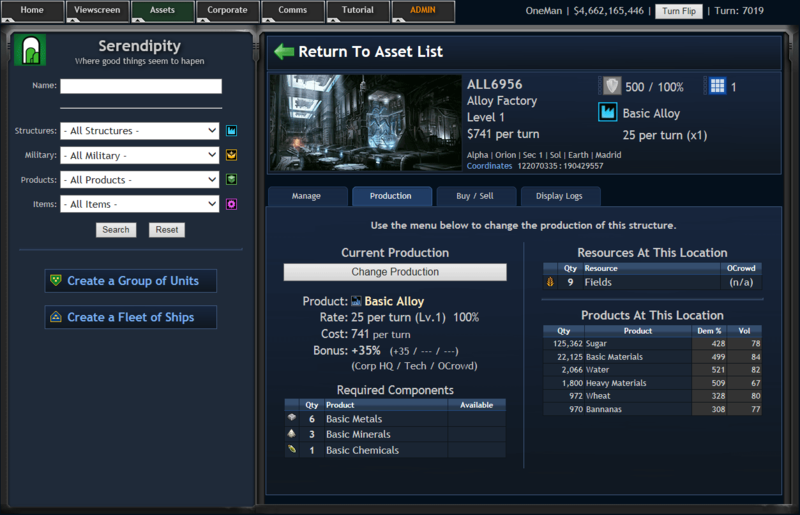 Turn based MMO Strategy Game revolving around commerce and industry. Market values, as well as cities, rise and fall based solely on how much is bought and sold. Random interactive events in which players can vote on for different outcomes. Players elect other players to govern cities, planets and entire star systems. 25 different Military units including ground combat and defenses. Top producing players in every city earn titles for Military and Industry. Players vote to elect other players into government positions using their industrial influence. Free to Play with absolutely no Pay-To-Win options. Micro-transactions for cosmetic changes only. Full accounts are subscription based and only unlock features which only serious players would utilize. Random interactive events occur on city, planet and star system wide levels. 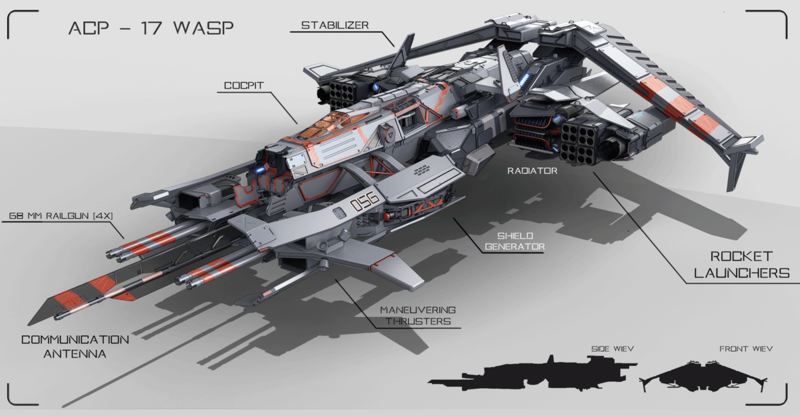 Ranging from simple NPC raids on cities or sudden market movements to quest like events which require the cooperation of entire planets to avert disasters. The players in the affected location can usually use their voting power, which is based on their industrial or military might, to alter the scenario of events before they become effective. 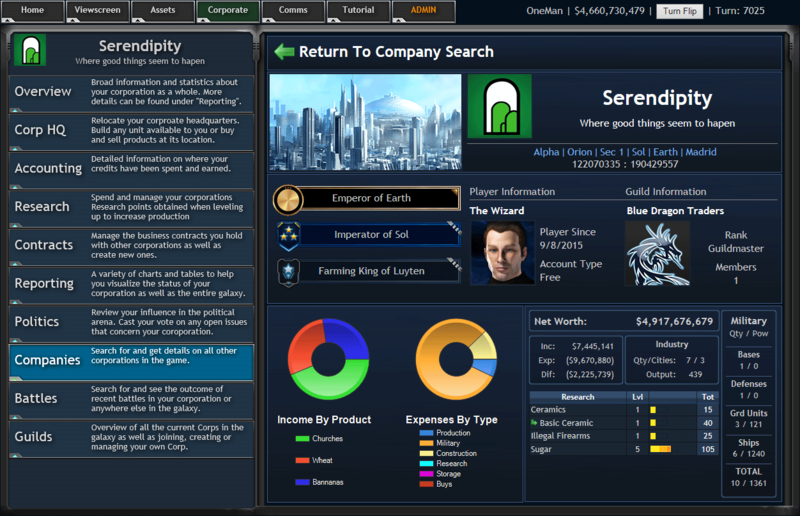 Players are also elected to govern cities, entire planets or even solar systems which gives them income based on city populations. They are also expected to protect their territory as well as the other players doing business within them. The game is developed by a solo indie developer with decades experience in hosting strategic and RPG table-top games. The project was inspired by the dislike of other games like it which tend to be unfair, unbalanced, short-lived, and essentially cash-grabs. The mechanics in Barons of the Galaxy are designed to limit the power of veteran players from being while giving smaller players opportunities to shine in an interactive political strategy game that is not based solely around combat. Barons of the Galaxy is currently in Open Beta Test with a launch date of May 13th, 2017.